It is a responsibility that some parents may find daunting: finding the right school for their child. We speak with Ms. Nhung Nguyen, Head of Admissions at International School Saigon Pearl (ISSP) to hear some of the common challenges and questions parents have when searching for a new school. Where do we start, there is too many choices? “If there is an opportunity to experience school-life or to be part of a schools community, take it. This is probably the best piece of advice I could provide any family looking at selecting a new school for their child. It is only natural that we make decisions based upon our own interactions and experiences,” Nhung continues, “At ISSP, we understand that whether it is your child’s first time attending formal schooling or if your child is transferring during Elementary grade levels, there is still a level of anxiousness within the whole family. What is the best Experience Day for my family? To support families during this period of transition, ISSP offers Experience Days. These are events aimed at welcoming the wider community to experience being part of ISSP. 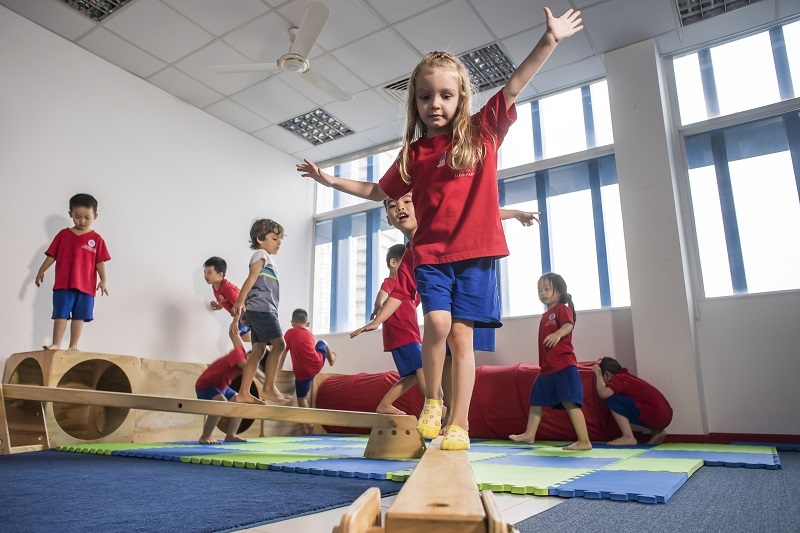 • SMART Steps is available for children 18 months to 4 years old to experience a program which is exclusively available as part of the ISSP Early Education curriculum. 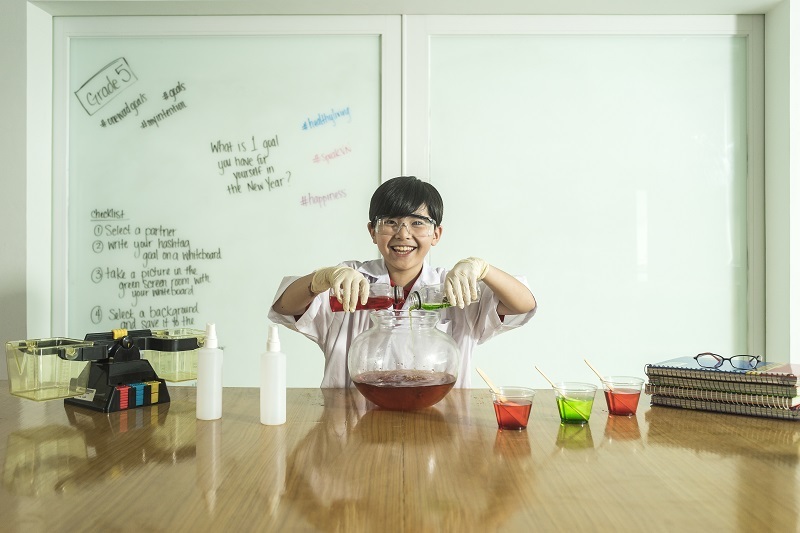 • Little Innovators, aged 5 to 11 years old, are invited to join and experience ISSP’s new Innovation Hub, which incorporates STEAM and includes a Green Screen studio, Maker Space, computer coding, robotics and more. • Breakfast with the Leadership is an opportunity for parents to meet with ISSP’s Senior Leadership Team in a personal setting to learn about the schools vision for the future and campus developments. This is an excellent forum to ask questions that are specific to your family. • The Original Mommy & Me Playgroup is a weekly session, every Thursday at 9:30am, set within ISSP’s new Early Education library. Led by Early Education specialist teachers, the playgroup promotes social and emotional, physical, language and cognitive development. • Camp Asia is Singapore’s leading holiday camp provider and is launching exclusively at ISSP for children 18 months to 11 years old. Summer schools allow children to become familiar with a new school environment and make new friends before the next academic year begins. Nhung adds: “During your visit to the potential school, I would encourage you to connect with as many staff members as possible. This will help you gauge school culture and provides an opportunity to ask any burning questions you may have. Facilitating these interactions is an integral part of the school tours and Experience Days that our team offers at ISSP. As we have already discussed, with many choices of international schools for families to choose from in Ho Chi Minh City, there is a lot of information available. Nhung advises families to refer back to the priorities they started with, which may have changed throughout the process by seeing different offerings. Mapping the information you have obtained to your wish list of the perfect school can help refine the schools that best meets your family’s needs. ISSP has launched a Let’s Talk initiative through their Admissions department that is proactive in engaging families in rich conversations about education and opportunities available to their children. Nhung summarizes by saying: “There is a fine balance between providing new families too much information and not enough. It is important for our team at ISSP to understand the family and child’s individual needs. This will allow us to provide a personalized experience and share information that is relevant to a family”. Join ISSP’s next Experience Day! ISSP is holding a FREE Family Fun Day on Saturday 14th April from 9am–12pm. Receive your FREE Scientist Kit including a lab coat, and participate in games and activities inspired by Science. In addition to Science themed activities, children aged 18 months to 4 years old are invited to experience their SMART Steps program which is exclusively available as part of the school curriculum. This is a popular event with limited places available to maintain a personal experience. Families are strongly recommend to register by visiting www.issp.edu.vn/fun, e-mailing info@issp.edu.vn or speak to a member of their multilingual team by phoning (028) 2222 7788. Alternatively, you can visit www.issp.edu.vn/events to see the next date of the different events mentioned above!